Traditional Christmas Cut Out Cookies - The BEST Recipe! In the mean time, I am joining Raising A Family On A Budget today for her virtual cookie swap! So fun, right? Though I'm sure the last thing we all need to be doing right now is finding more reasons to eat sugar, I suppose that's just the holidays for ya! Actually, in the spirit of the season, I decided to draw some inspiration from today's cookie swap and bring you MY favorite holiday cookie recipes through the month of December. I don't like to go too overboard - I know a lot of other cookie bakers that tend to share the wealth, and I personally tend to eat too many of them, so I usually keep it to 5 types or less. Over the last few years, my family and I have narrowed the list down to our absolute favorite versions of each of these recipes, so I'm excited to share with you! Today, I'm starting with the star of the show - the very best recipe of the most classic Christmas Cookie - Sugar Cookie Cut Outs! 1. Cream the softened butter and sugar together in a large mixing bowl. 2. In a small bowl, dissolve the baking soda into the milk. Add this mixture to the butter/sugar mixture, as well as the vanilla, and mix until combined. 3. Add eggs and combine. 4. Add dry ingredients and combine. 5. Pack dough into a large ball and cover or put in a gallon baggie. Chill for at least 1 hour or longer. 6. When dough is chilled, flour a flat surface (we usually use the kitchen table) and roll small portions of the dough out to desired thickness. We usually leave ours thicker than most! 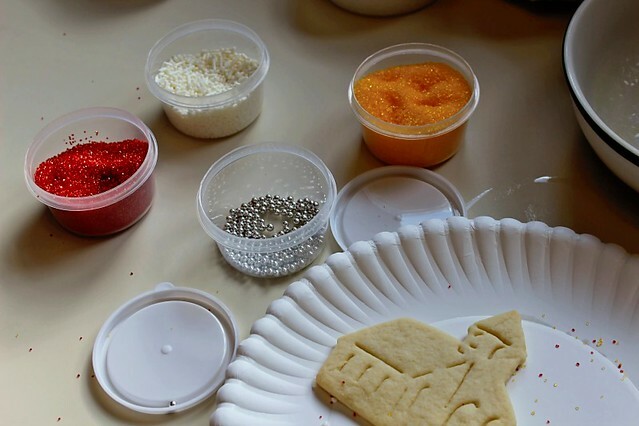 Then using any cookie cutters you like, dip them into flour and cut them out of the dough. 7. Bake a filled cookie tray for about 9 minutes at 350. Makes about 5-6 dozen. 1. Melt the butter into a large mixing bowl. 2. Add in the powdered sugar and start mixing. 3. Add the vanilla and mix some more. 4. Slowly add in the milk a little at a time (do not use the whole cup all at once!) Powdered sugar absorbs liquid very easily, so be careful. Add until you like the consistency, but leave it just slightly thicker than you'd like. 6. Frost your cookies, decorate with sprinkles and sugars, and leave out for 30-60 mins for the frosting to set! Bonus tip! To make your cookies REALLY soft, store them in air tight containers with a piece or two of bread overnight. The bread will get stale, and the cookies will get ultra-soft. It's a crazy weird process, but it works, and it takes these awesome cookies from awesome to ridiculously amazing! 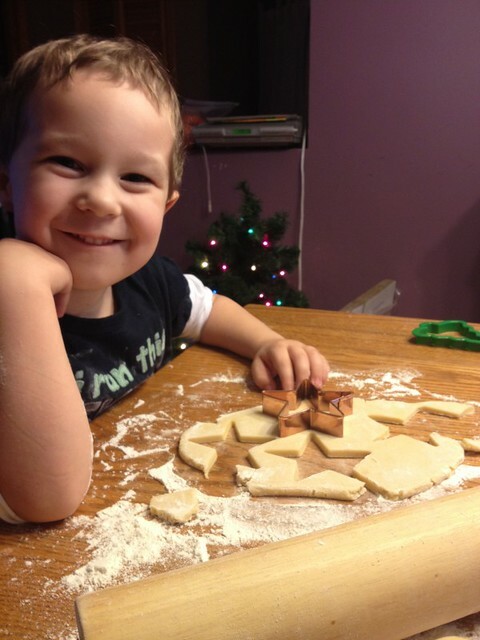 Our virtual cookie swap, hosted by Raising A Family On A Budget, is in full swing! Take a taste of these delicious recipes to get you through the holiday season. Do you have a favorite cookie recipe that you would like to share? Add it to the list below and join the party! 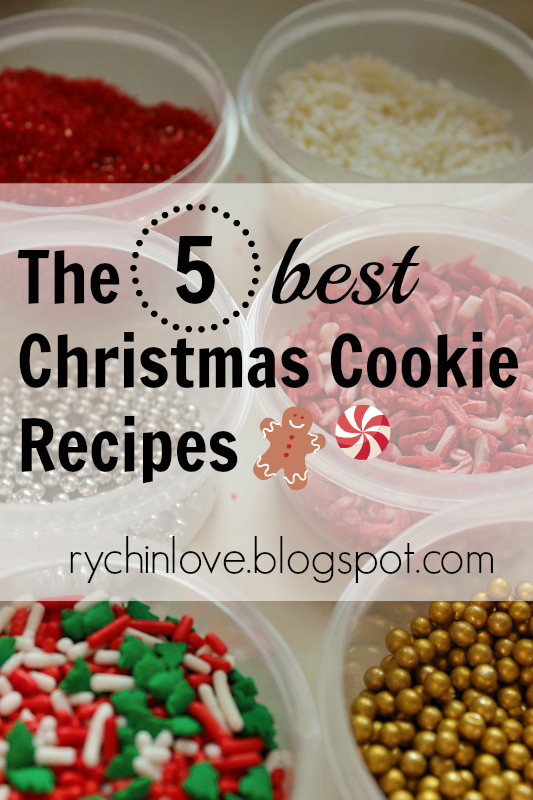 And come back super soon for more of my favorite cookie recipes!